Kingsport Times-News: How big is UT's economic impact? How big is UT's economic impact? KINGSPORT – Nine billion dollars. That’s the economic impact of the University of Tennessee (UT). UT’s economic impact study included its campuses located in Knoxville, Chattanooga and Martin, as well as the Health Science Center in Memphis, the Space Institute in Tullahoma and the statewide Institute of Agriculture and Institute for Public Service. The economic impact was calculated in part through research by UT’s Boyd Center for Business and Economic Research, and used payroll spending and fringe benefits, non-payroll spending, jobs created through system-related spending and tax revenues. The $9 billion figure did not include the role UT has in co-managing Oak Ridge National Laboratory with its more than 4,000 employees and $2.2 billion budget. 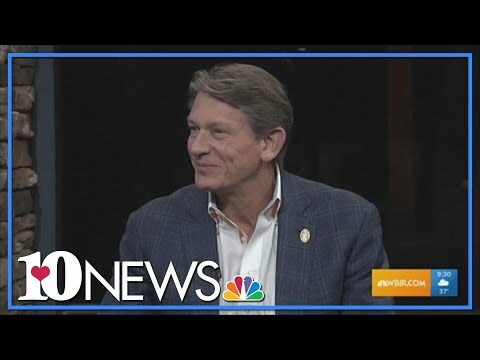 Overseeing it all is interim UT President Randy Boyd – the former Republican gubernatorial candidate – who pointed out during a meeting with members of the Times News Editorial Board that the university sends 11,800 graduates into the economy each year. That makes UT the largest contributor of Tennessee’s “Drive to 55” program to get 55 percent of Tennesseans equipped with a college degree by the year 2025. What were your expectations when you took on this job? What would you say about all the construction going on campus? So do you want the interim tag taken off and stay on as president? We hear concerns about state funding for two-year institutions and ETSU (East Tennessee State University). Is there a need for more support from the state? What would you say about the cost of higher education?